That no opens (or partial opens) exist in DC common networks. That there is no insulation degradation or dielectric breakdown between circuits. That there are no potential arcing conditions wired. That relay, circuit-breaker and switch circuits are correctly present. That components (resistors, diodes, capacitors, etc.) are of the correct value. The ability to program test voltages, test currents, and measurement parameters with extremely high resolution, plus the ability of each CKT system to perform measurements with accuracies that are the best in the industry, will provide the user with second-to-none test capabilities. To view typical applications and installations of CKT high-voltage systems click HERE. For general system specifications click HERE. (Requires user name & password) The following test systems are available. Click on the system model number to learn more. Model CKT1175-10. Available with test voltages to 1,000 VDC / 750 VAC RMS and expandable to 2,000 test points. Model CKT1175-10A. Available with test voltages to 1,500 VDC / 1000 VAC RMS and expandable to 6,000 test points. Model CKT1175-20. Available with test voltages to 2,000 VDC / 1,500 VAC RMS and expandable to 96,000 test points. Model CKT1175-50. Available with test voltages to 2,000 VDC / 1,500 VAC RMS and expandable to 96,000 test points. Switching is available packaged in suitcases, Line Replaceable Units (LRU’s) and mobile cabinets. Model CKT1175-MBA. 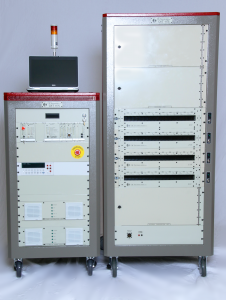 Multiple-bus structure system capable of testing at voltages to 2,000 VDC / 1,500 VAC RMS. Bus structure is available up to 10 levels deep and will support multiple power supply sources, matrix guarding for eliminating parasitic capacitances, various instrumentation, plus providing random access 4-wire resistance and data-bus testing. The Model CKT 1180 provides Users with high-voltage testing up to 3,500 VDC and 2,000 VAC RMS. 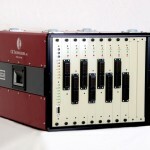 The system is expandable to 9,000 test points in increments of 500 test points. All Of the above systems are available with the operator interface in English, German, Italian, French, Spanish, and Chinese languages.